Last time The Devils visited Altrincham, both teams claimed a point, taking the game into overtime. It was Devils who scored the overtime winner, the final scoreline sitting at 5-4. It was a closely matched game, with both netminders only receiving a one shot difference on goal. The Devils will be without Layne Ulmer this weekend, who was handed a three-game ban following an altercation with The Nottingham Panthers. 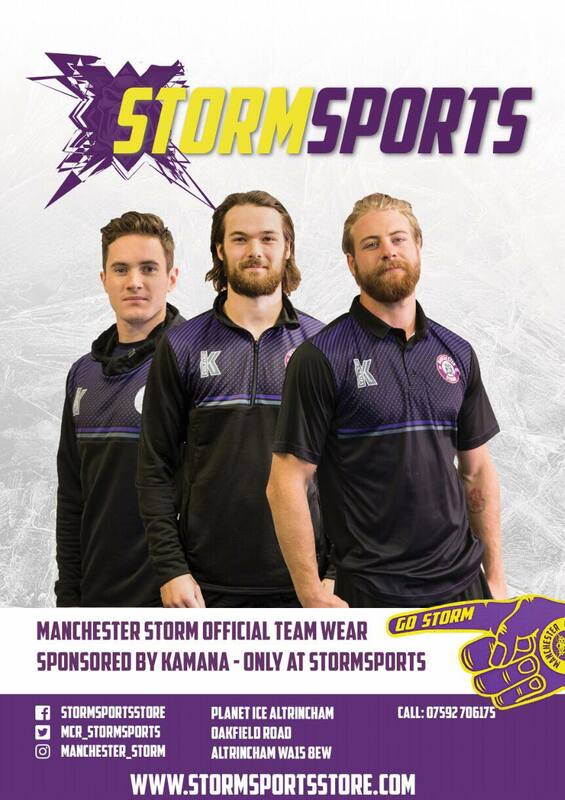 Our sponsors, Cross Check Clothing are visiting the Storm Shelter again this Saturday. Make sure you go and check out their wide range of merch! COVENTRY BLAZE V MANCHESTER STORM – SUNDAY 3RD FEBRUARY, 17:30 FACE-OFF, COVENTRY SKYDOME. The Storm players travel to Coventry for the second time in two weeks to face Patton Conference rivals, Coventry Blaze. The last time they travelled to the Skydome, they celebrated a 6-2 win. The following day, the Blaze fought back in Altrincham, winning the game 4-3 in overtime. Blaze are currently only one point under the Storm in the EIHL table. With only eight games of the EIHL season left for Storm, both teams will be fighting for a playoff position. Please be reminded that next weekend there are no home games, as Storm head up to Scotland to face The Glasgow Clan and Fife Flyers. The Storm’s next home game is against visitors and Patton Conference rivals, The Guildford Flames – Saturday 16th February, 19:00PM face-off!